Track activity for key clients. More email activity means more billable hours. The converse is also true. 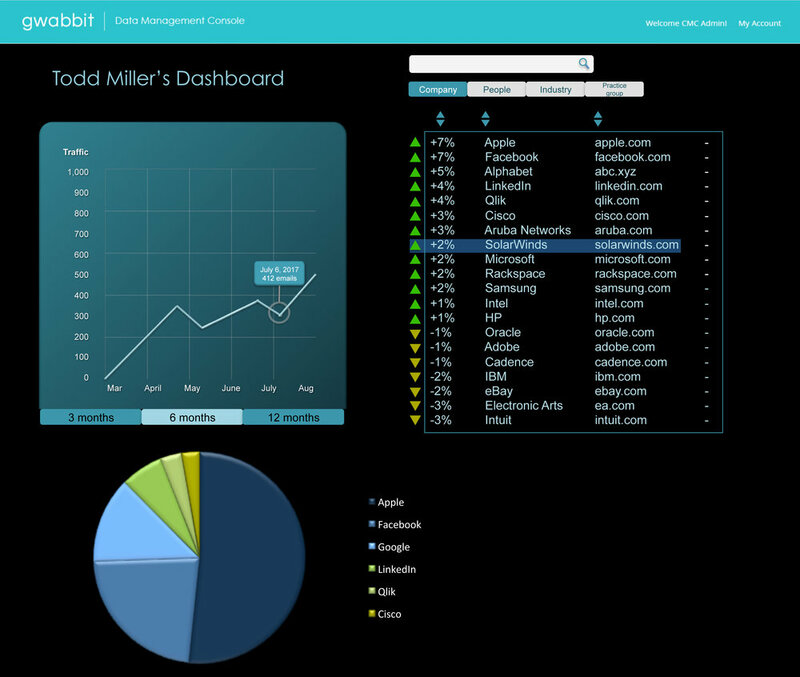 gwabbit Dashboard provides individual views of key client activity. If client activity is trending up, that's good. If it's trending down, maybe that's a good time to take a client to lunch. Copyright 2019 gwabbit, Inc. All rights reserved. gwabbit is a registered trademark of gwabbit, Inc.